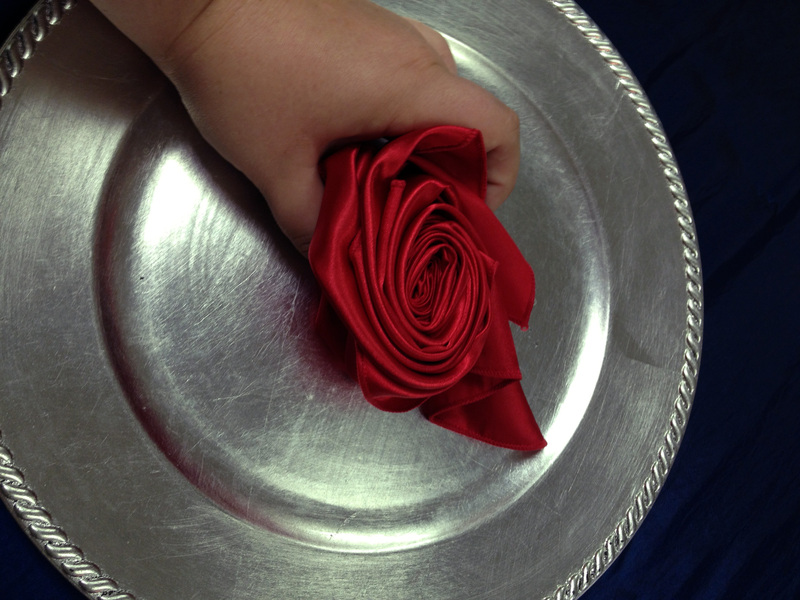 You’d never know by the look of it, but this may be our simplest napkin fold to date! 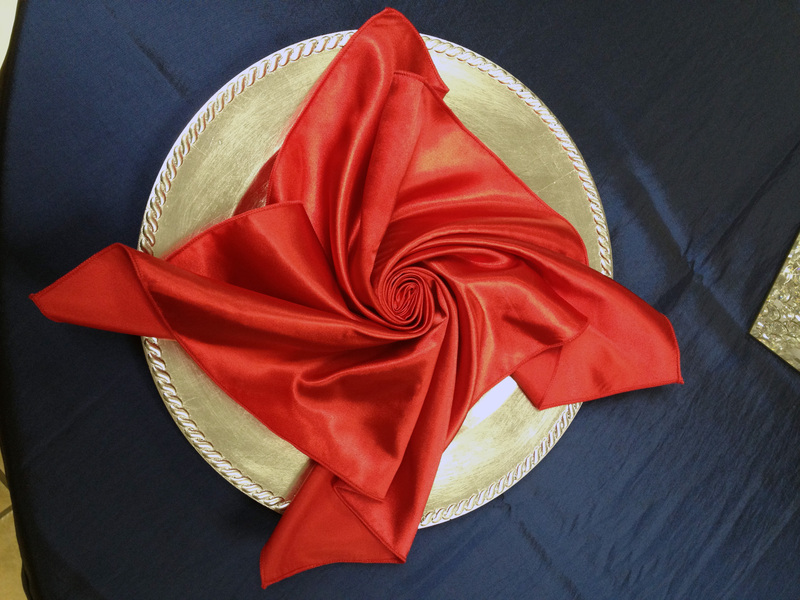 All you need is one of our 20×20 napkins (for this fold, we recommend the polyester satin instead of solid polyester), and a fork. 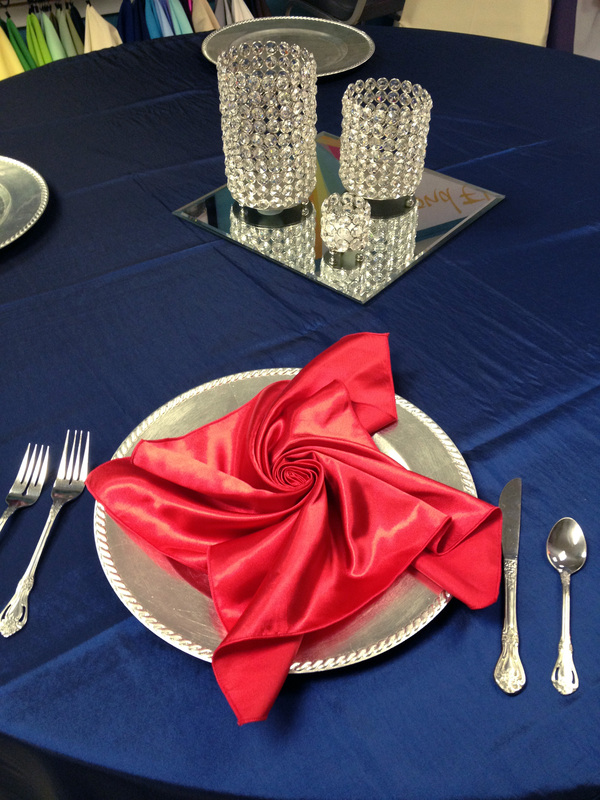 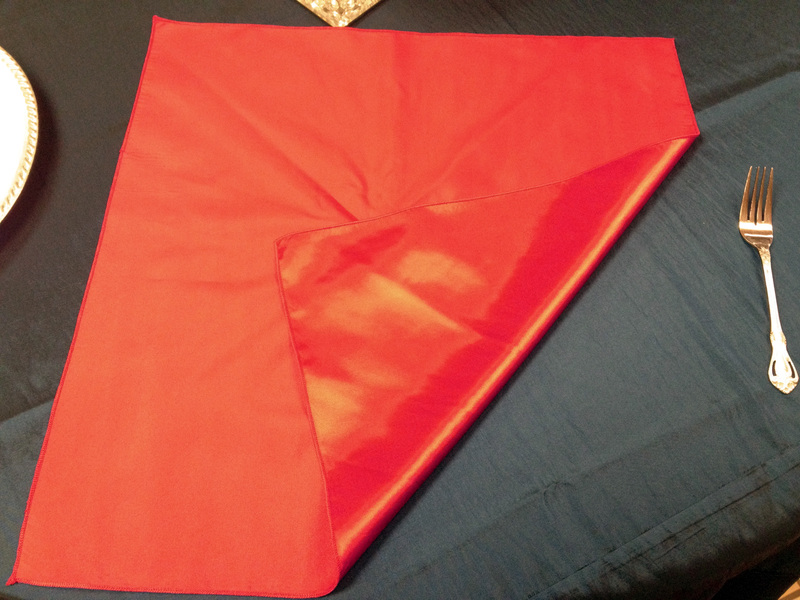 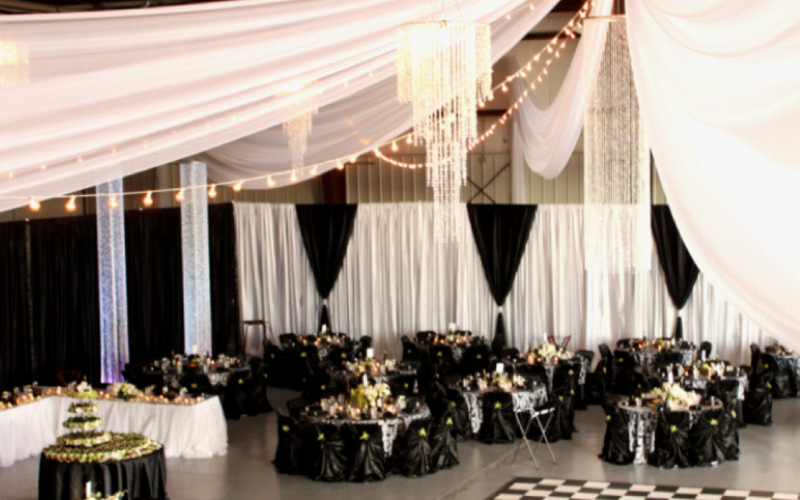 Make sure the napkin is “face” down – so with our satin polyester, that would be shiny side down. 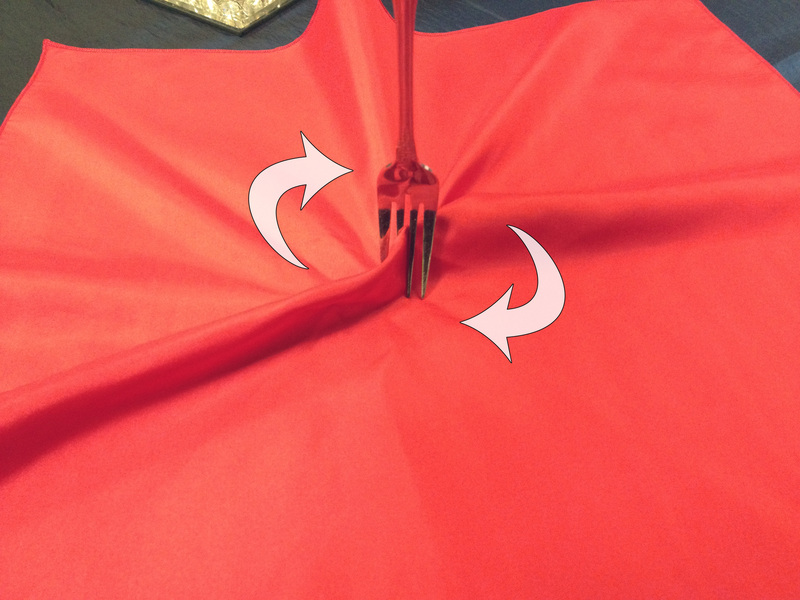 To start, put the fork in the middle of the napkin and pinch a little bit up in between the tines – think of it like you’re twirling spaghetti noodles. 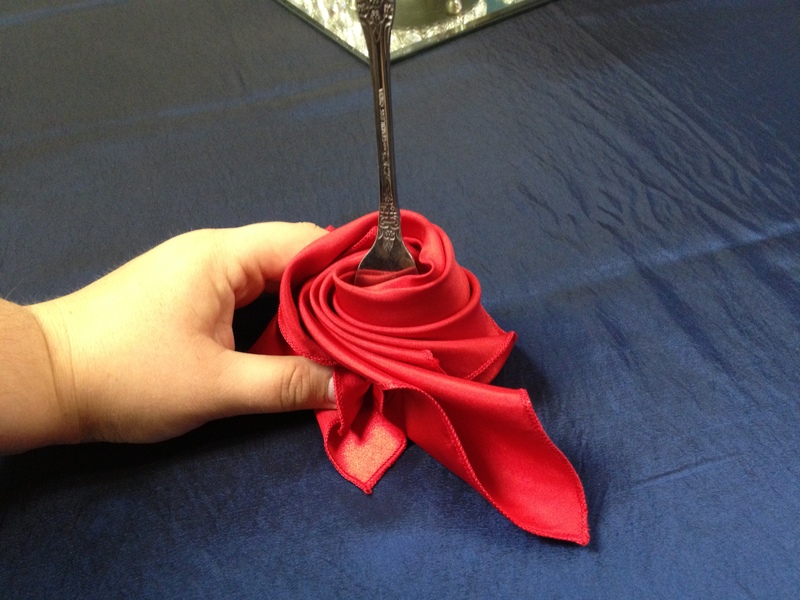 Spin the fork, twisting the napkin around. 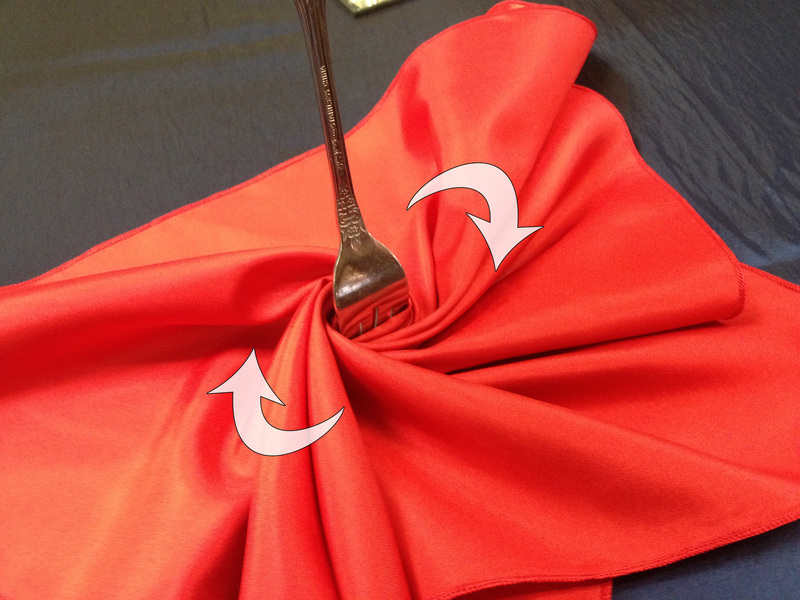 While you’re doing this, you might need to level it out with your other hand so it stays a flat circle instead of a tube. 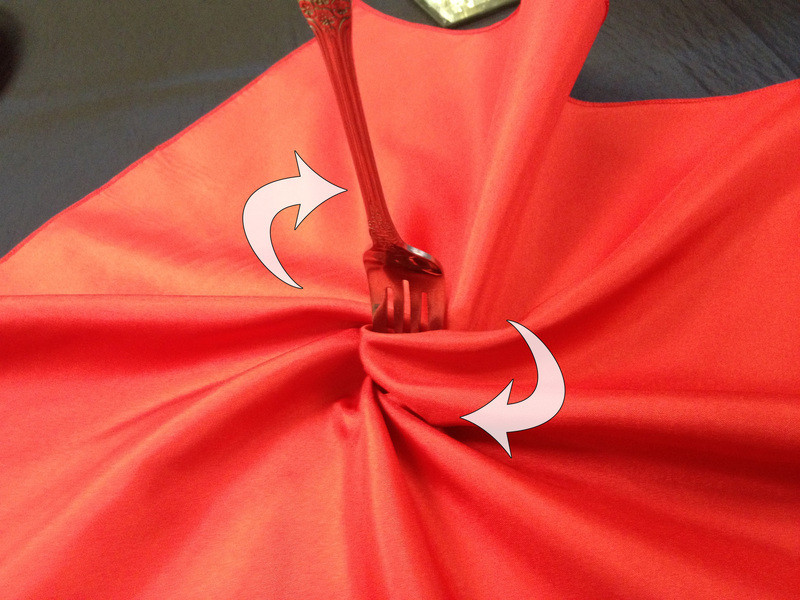 Once you’ve wrapped up the entire napkin, remove the fork. 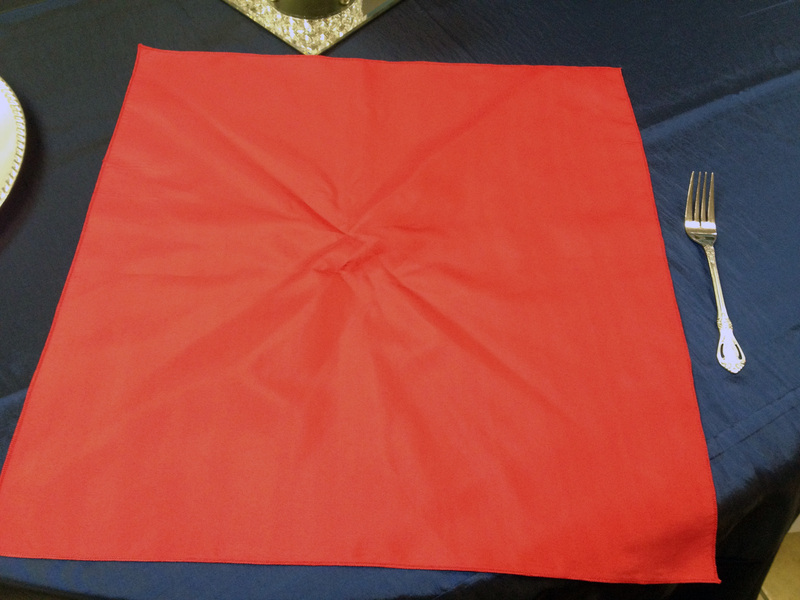 The napkin will unwind a little bit and it might need a little adjusting to keep it symmetrical, but that’s all there is too it! 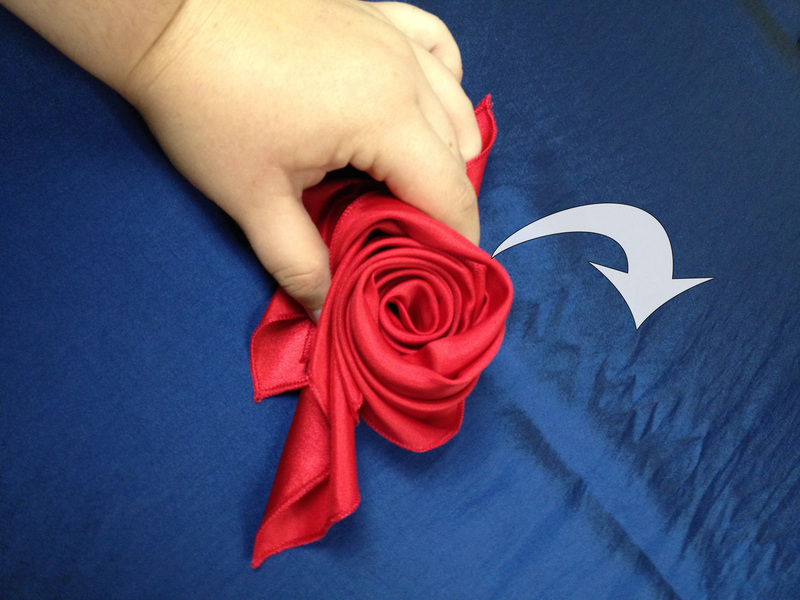 DIY – Beautiful roses out of wedding linens. 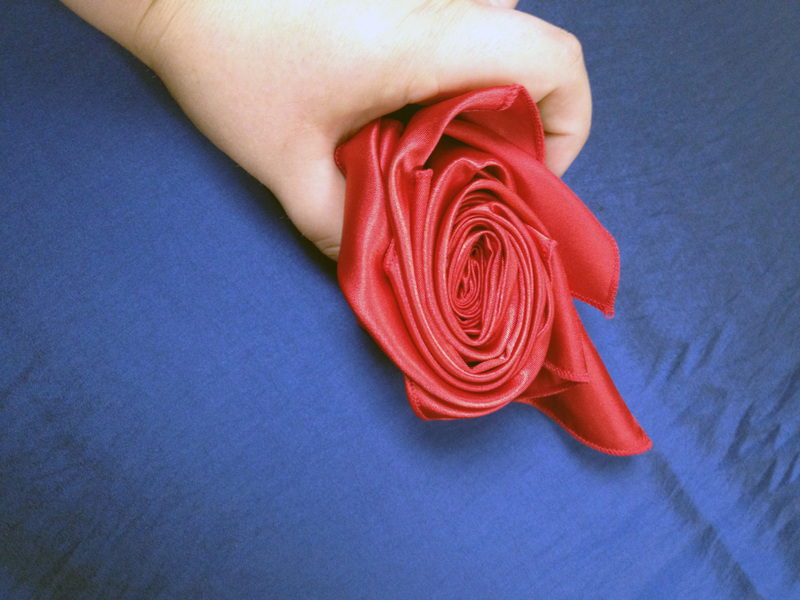 Thanks Much!